16 Virtues to ace any race – #3: Effort | JustRunLah! Ultramarathoners and national record holders don’t just happen. What’s behind them is hours of dedicated long runs, holistic workouts and a fair share of blisters and painful muscle cramps. Whether you’ve signed up for 5K, 10K or had the impressive courage of taking on the next Ironman, you need to put in your due diligence and we’re here to tell you how to do so smartly. An important aspect of training (including distance runners) is to add in speed work. Our cardio strengthens much faster than our tendons and ligaments. Easy, long runs are necessary for developing endurance. However, to really improve your muscles’ (including our heart’s) responsiveness, speed work is important. This is a swedish term for ‘speed play.’ The uniqueness of this training form is its emphasis on ‘play.’ It is meant to be unstructured and alternating between moderate-to-hard efforts. During your regular training run, play with the speed and duration of higher intensities. It could be sprinting past the runner with neon pink shirt 400m ahead, or just keeping up with a faster pace for 10min. It’s entirely up to you! The entire run itself should average out into an easy run. The irregularity of fartlek teaches your body to adapt quickly and allows you to train for speed. They sound scary as hell but they do wonders in training your physiology and psychology. After your warm up, go all out for the next 1 min. You should be above your anaerobic threshold and having difficulty talking. Then, do a slow jog for the next 2-3 mins. If you’re new to this (or just frightened at the prospect of how exhausting this sounds), start with longer break intervals. During which, learn to control your pace. Then, you won’t tire yourself out before the next sprint. This is an important skill for longer distance runs from 10K to ultramarathons. Unlike the training methods above, hill sprints are considered alactic. This means that they don’t result in the buildup of lactic acid in your body. Continuously performing speed trainings that push you above your lactate threshold would lead to a decrease in lower body’s pH. After 6 to 8 weeks, you’d burn out and this would interfere in subsequent training efforts. Hill sprints don’t do that. 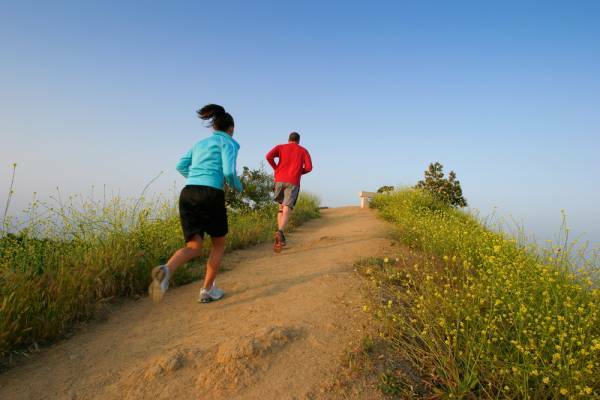 Start with 10-15s of hill sprints just once or twice per week. Once you’re more comfortable, add 2-3 reps per week. Remember to add reps gradually. You can do this as a standalone training or after your easy runs. For those who’d like to seek more professional advice or get some structured training, JRL Academy encompasses a comprehensive selection of speed work, pace runs and strengthening exercises. In the next few days, we’d be sharing more essentials for smashing any race so let us know if there’s anything in particular you’d like to hear about! See Virtue #1: Try | Virtue #2: Discipline.